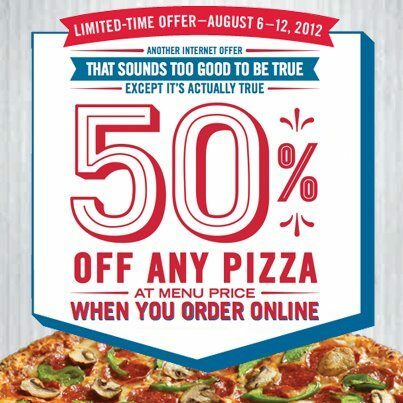 Domino's Pizza is having a limited-time offer where you can get 50% off any pizza if you order it online. Simply enter the code 50OFF when you check out and you'll instantly receive half off the pizza price. This offer extends from August 6 to 12.
not working in mumbai at least.. is it working somewhere else ?